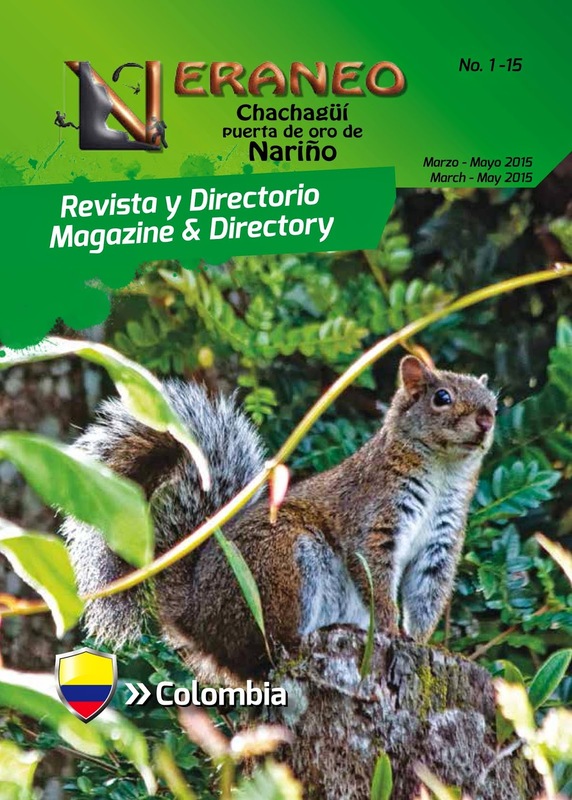 On Saturday, 25 April 2015, we launched a new magazine and directory to promote tourism around the village of Chachagüí and in the Nariño Department (province). Based on a similar and successful model in Uganda, it's distributed free of charge with businesses getting the opportunity to buy advertising space. This is complimented by articles and photos from the area. Go to my "Books" section where you can read and download a copy of the "Veraneo" magazine! "When I arrived in Colombia, I had huge expectations, but what I encountered exceeded them all by far! Every view was sensory overload! I was constantly lost for words to describe my experiences and views; breathtaking landscapes, fantastic people with a rich and proud culture. From all this I was expecting to find tourists everywhere but no - travellers were passing through and telling that I had to go to Popayan and further north and see all the amazing places there. Really? After my first week I realised that this is because nobody knows about this hidden gem that is Nariño. Arriving in Chachagüí, I knew that I could not leave this place without sharing it with the world. The potential I see around me here, and the little bit I've travelled in Nariño, is incredible. The restaurants and accommodation, businesses that can support tourism and transport infrastructure are there - now we just need to get the tourists here, from near and far. Busy with my speech at the launch of "Veraneo"
Let's not forget local tourism! These are the people that support you in low season or when world events result in low foreign tourist numbers. We need to promote our tourism to the Colombians! Many of them don't know much about Nariño and what it has to offer - some places and things I've photographed are not even known to the Chachagueños! 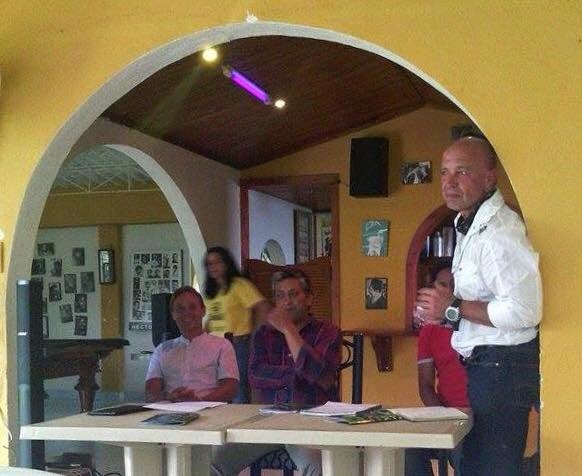 What we want to achieve with Veraneo; the promotion and discovery of a stunning Nariño and also Chachagüí as a base for exploration and adventure. Each edition will have a theme, for example "conservation" with articles on culture, history and activities relating to the theme. With further expansion, the directory will have sections for each place - for example; a directory for Chachagüí, a directory for Pasto and one for La Cocha. To achieve all of this, we need everybody's participation, suggestions and ideas. Buying advertising space and/or sponsoring pages, ensures the magazine continues to be distributed free and more widely. We look forward to the promotion of tourism and the development of more tourism products."